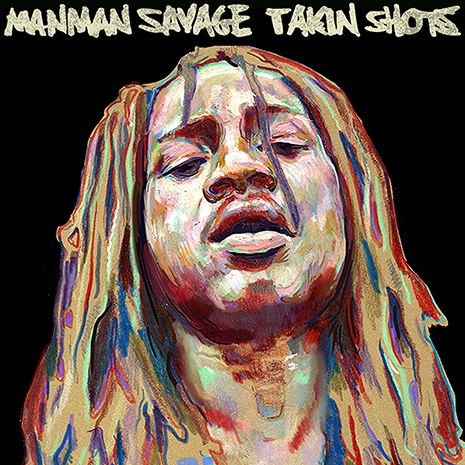 ManMan Savage is a young Atlanta star, mashing dread-swinging charisma and mosh pit excitement with real life grit. “Takin Shots” is his Fool’s Gold debut, following a series of self-released ATL favorites and appearances as a mainstay on the scene (that’s him starring in Future’s “Trap N****s” video and hitting the stage with ILoveMakonnen and Post Malone). It’s a clear leap forward for ManMan, whose screaming delivery over a banging, post-apocalyptic beat from Chris Fresh of 808 Mafia simply cannot be ignored. (Check GLD’s remix of “Takin Shots” on the Night Shift compilation for even more over the top energy.) Sleeve art by Matt Wojtan.